The NK420 line of frequency synthesizers generate frequencies from 250 MHz to 32 GHz in bands with low phase noise and fast switching speeds. Suitable for many test and systems applications, these signal sources come in a single-slot PXIe modular format, making it possible to pack as many as 16 synthesizer channels into a single PXIe chassis. 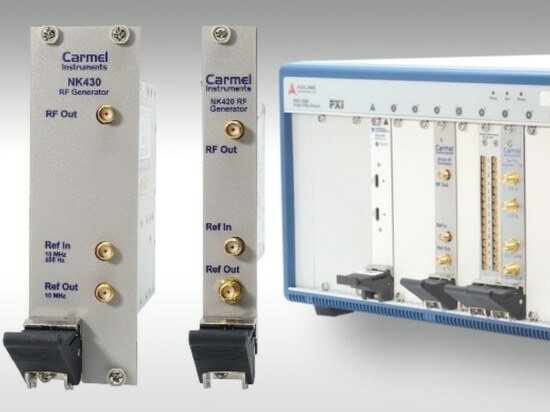 NK420 models cover frequency bands of 0.25 to 6 GHz, 2 to 8 GHz, 6 to 13 GHz, 10 to 14 GHz, 8 to 20 GHz, and 28 to 32 GHz with phase noise of −93 dBc/Hz offset 10 kHz from a 10-GHz carrier. Based on tunable YIG oscillators, the frequency synthesizers tune in 1-kHz steps with 3-ms switching speed for a full-band step. 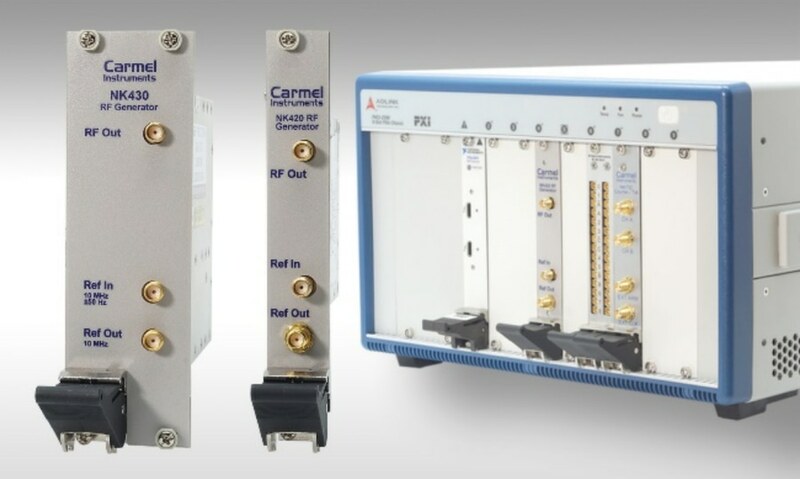 They provide output power ranging from +8 to +11 dBm, depending on model and frequency, and work with a user-supplied reference oscillator from 10 to 200 MHz, although an option is also available for an internal 10-MHz frequency reference oscillator. The frequency synthesizers include easy-to-use Windows and Linux software.